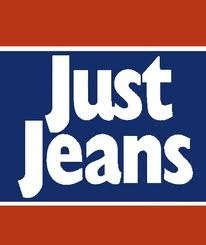 Just Jeans are currently having a mid year sale in stores Australia wide, and on their online store. There are great reductions to be found across the Just Jeans range, particularly on this year's Summer/Autumn collection for men, women and children. Some of the discounts can be found on women's coats and jackets; for example this Boucle Jacket, was originally priced at $99.95, and is now reduced to $39.95, and this Wool Military Jacket, was originally priced at $99.95, and is now reduced to $49.95. For men, there is 50% off the original price of t-shirts, which are now reduced to $14.95, while a range of jeans have been reduced to $49.95. You can browse the entire sale range on the Just Jeans website. A range of kidswear for girls and boys has also been reduced; prices start from $14.95. As a bonus, if you order more than over $120 worth of Just Jeans clothing and accessories from the online store, you will receive free shipping Australia wide. Shipping is usually priced at $9.00 per an order. Just Jeans online also ship internationally; for details please see here. For all the latest news and events, please see the Just Jeans Facebook profile. Click here for your nearest Just Jeans store location. The Just Jeans Mid Year Sale will continue while stocks last.